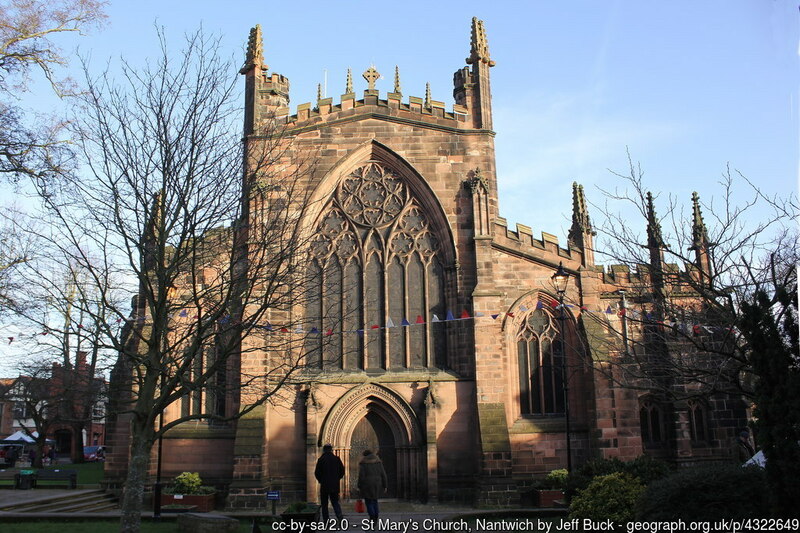 Nantwich is a lively medieval market town on the banks of the River Weaver in Cheshire. The town is famous for its medieval timbered buildings. It is also proud of its markets, its International Cheese Show and Food Festival, and its Civil War history. Music festivals, such as the Blues and Jazz Festival and Acoustics Festival, attract many visitors. The Market began in 1500. The market building used today dates from 1867. There is a Market on three days a week, and there are stalls inside and out. 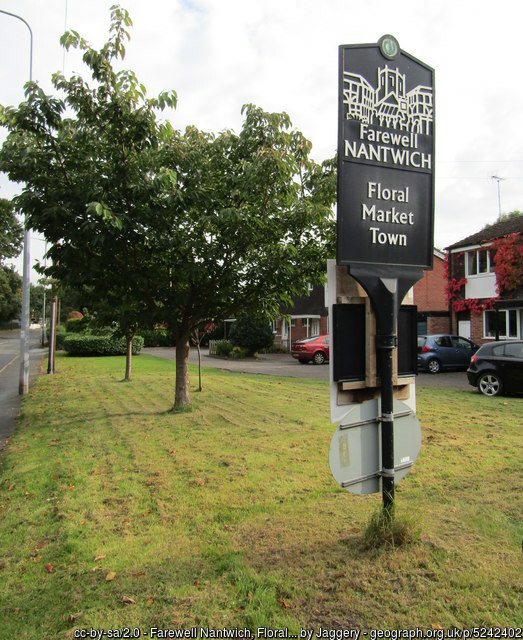 Nantwich is a busy shopping centre with many fine food, drink and clothing retailers. Nantwich is an ancient settlement and there were Romans here. The ‘wich’ part of the name comes from salt, which the town remains famous for. The local salt springs were good for making salt, and in the 1900s were popular for health tourists. The town still has a popular heated outdoor brine swimming pool. During the civil war, the town was under siege for some weeks by the King. On 25th January 1644 at the Battle of Nantwich, Sir Thomas Fairfax relieved the town and defeated the royalist army. 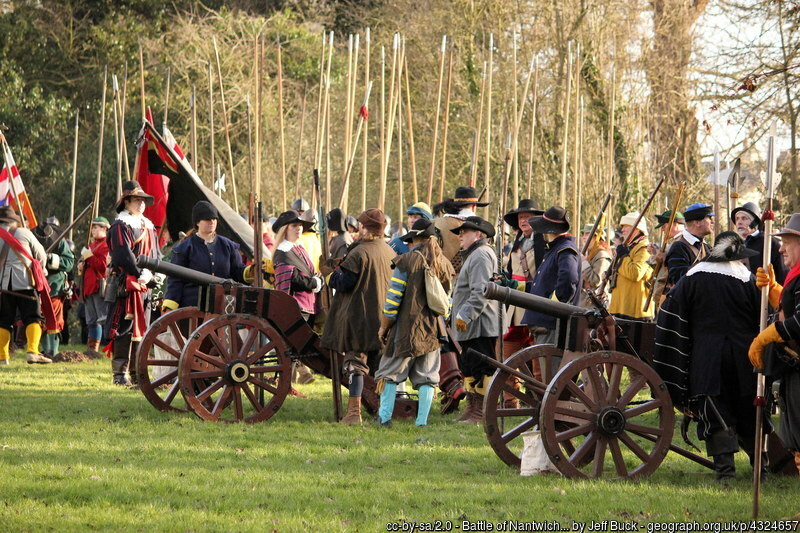 Today, the Sealed Knot marks the victory with a re-enactment on Mill Island, by the river in the town centre. 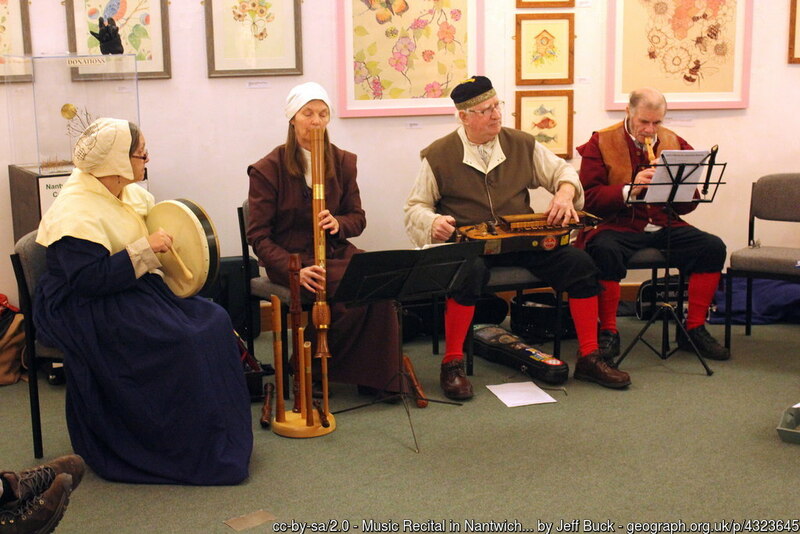 Nantwich Museum brings the history of the town to life. It tells the story of Nantwich from Roman salt making to the shoe and clothing industries. One exhibition shows the making of the county’s famous cheese. 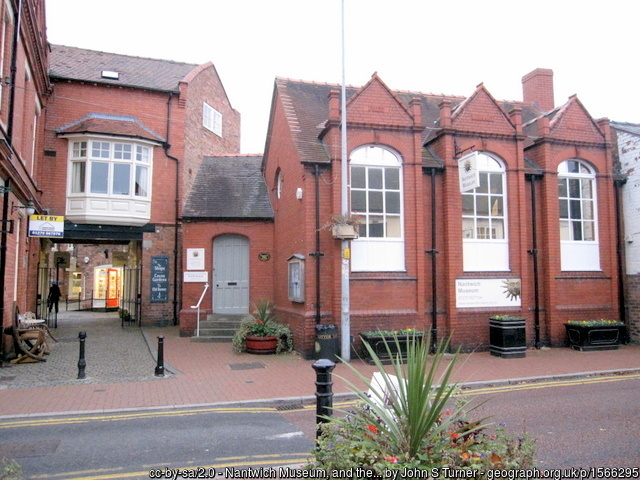 The Museum building was the Victorian Jubilee Library, and the site is the site of the town’s goal. Nantwich Museum is on the right of the picture. To the left is the entrance to the Victorian Cocoa House opened by the Temperance Movement in 1897. Read about the museum here. Nantwich in Bloom is a group of about 80 volunteers who work to enhance an already beautiful town. The town has standards to keep, as one of the leading market towns in Britain, and regularly wins awards. Click here to see their achievements.